The Norwood Cafe, an alumni favorite known as "The Woods", which closed in 2008, has been reimagined as part of the recent arena renovation. All college campuses have at least one legendary bar. For many alumni of Xavier University, that bar is the Norwood Cafe. Colloquially known as “The Woods”, the local watering hole was purchased by the university in 2008 and torn down as part of a new mixed-use development project. “It is almost an entire reproduction of the way it was left back in 2008." During the course of demolition, some of the trademark elements of The Woods were saved, including the 100-year-old cherry back bar, which has been mothballed since 2008. 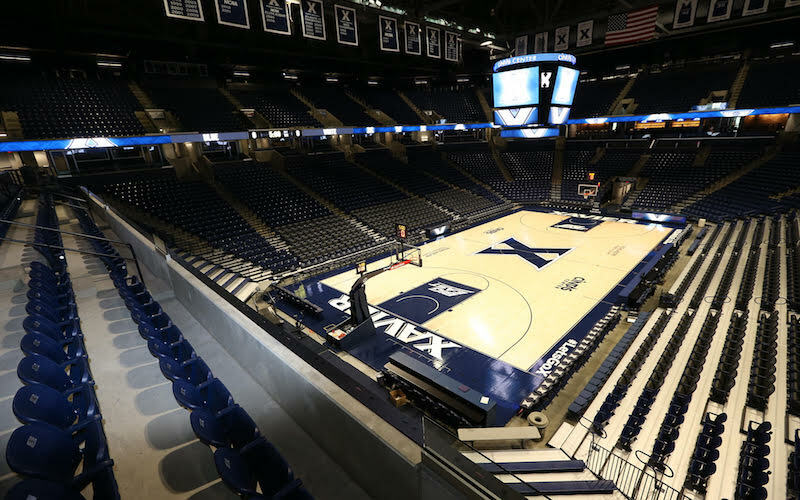 “As we embarked on our renovations at Cintas Center, the question came up, ‘Can Cintas Center deliver a new destination area?’,” says Brian Hicks, Associate Athletic Director for External Relations at Xavier University. The Woods is now that new social destination at Cintas Center. Situated in the northwest corner of the upper level, The Woods is recreated with remarkable precision, a nostalgic tribute to Xavier alumni and fans with fond memories of the Norwood community tavern. 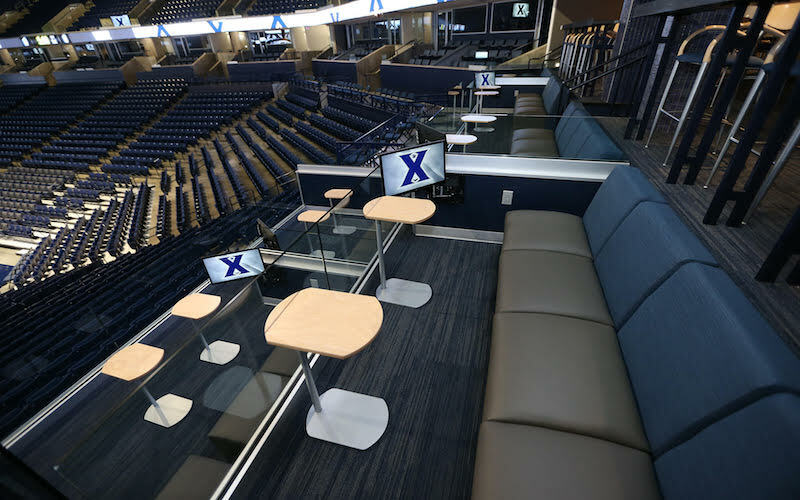 A local dive bar and alumni favorite is remembered and reimagined as a premium destination in an exclusive club at Cintas Center. Fans can still see many of the names of past patrons of the Norwood Cafe that are etched into the original bar. The floor is a close representation of the original flooring. And the chandelier hanging above was the finishing touch to recreate the experience that many people in the community remember at The Woods. “It is almost an entire reproduction of the way it was left back in 2008,” says Hicks. View our entire video series, highlighting the $5 million renovation of Cintas Center. Revamped Joseph Club Installs "Living Room Seats"